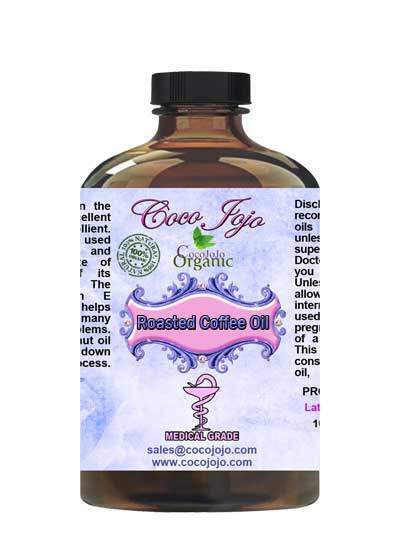 Coffee Bean Oil (Roasted) 100% Pure Unrefined Pharmaceutical Grade product is Unrefined, which means it is in the purest form that it can possibly be in. Roasted coffee oil is obtained from roasted coffee beans known as coffea Arabica. The cold pressed extraction method is used for extracting the roasted coffee oil. The roasting procedure helps release, caramelize and emulsify the starches, fats and sugars present in the coffee beans. The extraction process creates delicate roasted coffee oil. The oil has distinctive taste and aroma. Top quality oil can be extracted from coffee beans of good origin that have been roasted well. Pure roasted coffee oil is well known for its herbaceous aroma, highly moisturizing nature, quick absorption, medium to light texture and rich sterol content. It is one ingredient that is highly recommended in the making of high end products.